When D and I were talking about the beginning wedding plans, we knew one thing. We knew we didn’t want a large bridal party. We ended up choosing only with our two sisters and my best friend as the bridesmaids and his 2 best friends (1 is his now brother-in-law) as his groomsmen. To us, this was the perfect amount. 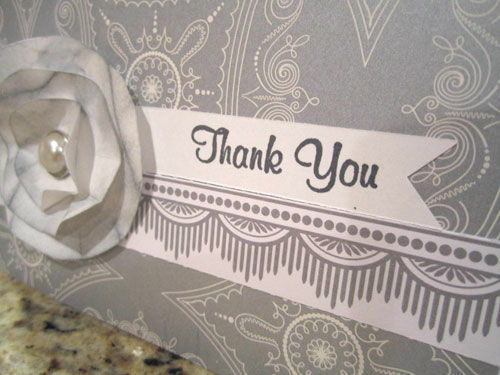 At the rehearsal dinner, we gave them the above gifts to thank them for all they did in the days leading up for our big day. 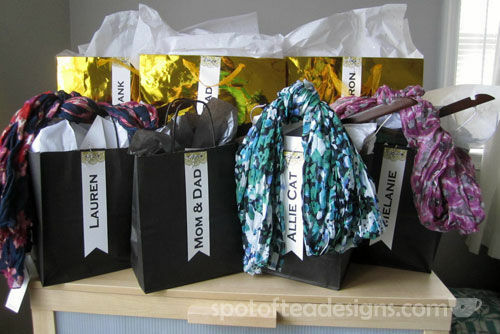 Each included a tag on front, tied on with the black and white baker’s twine that remaining throughout the wedding day. 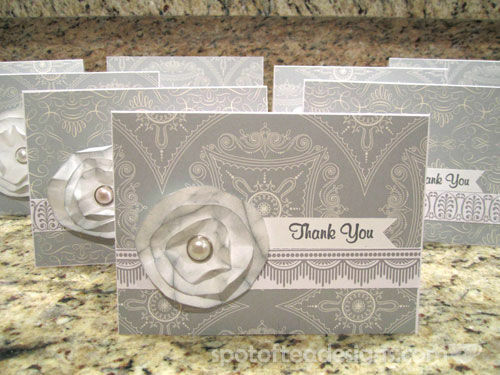 For the thank you cards, I used the layered flower technique I did on the Mother’s Day Frame I made last year, but kept a silver/ivory color palette.